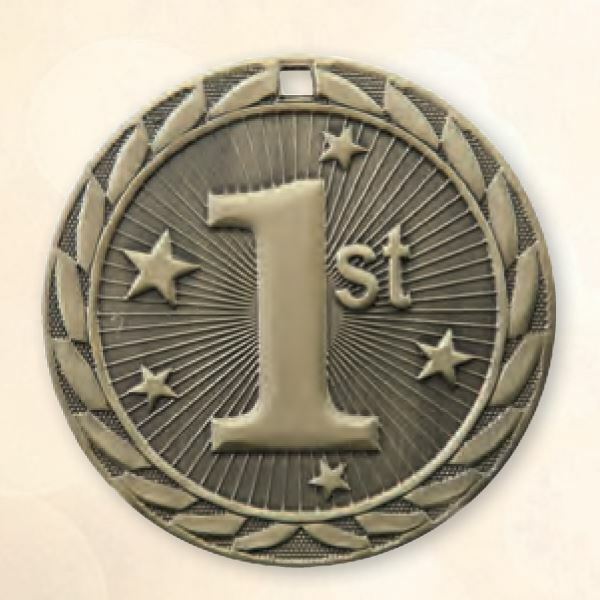 These medals have a bright gold finish and a fun trophy cup shape. 2.75" tall. Neck drape included in your choice of color. Featuring intricate detailing, unique shape and "star blast" theme. 2" tall.